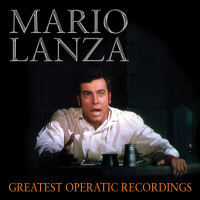 This CD brings together for the first time arguably the best of Lanza's live and studio operatic recordings, beginning with the tenor's forays into lighter, lyric parts, then moving gradually into heavier spinto territory and, finally, dramatic roles. As such, it should be a revelation to many. For the tenor presented here is not the sometimes-erratic artist one hears on numerous lightweight compilations, but an opera singer�and a potentially great one at that. Previously unissued tracks include "Dio ti giocondi" from Verdi's Otello and "E voi ridete" from Mozart's Cosi Fan Tutte, plus "live" recordings such as "Nessun Dorma" and "Vogliatemi bene" from Madama Butterfly.